Don’t go! 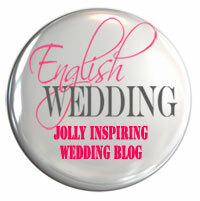 You’ve not unwittingly wandered onto another wedding blog. Unlikely though it may seem, this really is A Warwickshire Wedding and I really am about to share some money-saving tips. For whilst all my talk of a designer wedding dress, letterpress invitations and bespoke tailoring may have given the impression that A Warwickshire Wedding was a wildly extravagant affair which knew no budgetary boundaries, I can assure you that wasn’t the case at all. Indeed, three months before The Big Day I was made redundant and whilst my compensation payout certainly did go some way to funding our nuptial celebrations, I didn’t have another job lined up and was far more worried about our rapidly dwindling budget than my spending patterns might otherwise have suggested. For, as anyone who has organised a wedding knows to their cost (literally) the price of anything even vaguely wedding related seems to be determined by a special sort of calculator which vastly inflates prices so that they dwarf their everyday equivalents. So, in view of this, I thought I’d devote today’s post to sharing some of the ways in which it is possible to cut, or at least shave, costs and save a bit of money, whilst not scrimping on quality or compromising the vision you have of your own dream day. If there is one wedding related purchase likely to blow reason and restraint right out of the water, it must surely be The Dress. However excited you are about finding the right venue, the right florist or the right photographer, finding the right dress sits at the very crest of the emotional wedding wave. And, believe me, this renders you very vulnerable to making decisions which, in the cold light of day, make absolutely no financial sense at all. It’s well-nigh impossible to hold onto your senses when you look at yourself in the mirror and behold, in the reflection before you, the fulfilment of all your girlhood dreams. Or, in my case, when MoH and KoTD both reached for their tissues as I stepped out of Sassi Holford’s changing room wearing Fleur on that most memorable afternoon in November 2011. Going to try on designer dresses just for fun is a very risky business indeed because falling in love with a dress – even if you can’t justify the cost – will make every other dress feel like second best. Really, such wedding window shopping trips should carry some kind of a bridal budget health warning. If you’ve read Mrs Adams is Keeper of The Dress, you’ll know, that I was incredibly lucky because although a couture wedding dress was way out of my price range, Sassi Holford offered to sell me the sample dress that I tried on at a much reduced price so I went home one very happy bridal bunny indeed. So then, buying a sample dress is the first of my money-saving tips. Start by using the internet to identify and locate wedding boutiques which stock gowns by your favourite designer and then find out when new stock is due to arrive because that date is likely to trigger the start of the current season’s sample dresses being sold off. To be honest, you’re unlikely to pick up a designer dress at a bargain basement price, but if you are patient, get the timing right and are prepared to travel, you might manage to track down the wedding dress of your dreams at a much reduced price. And if you don’t have any joy with sample sales, consider trawling the web to see whether anyone just happens to be selling the dress you are after on a ‘preloved’ site such as Sell My Wedding Dress. Selling your wedding dress after The Big Day is, of course, one way of recouping at least part of the cost and justifying the expense of a designer gown. I cannot, however, recommend this course of action to those who, like me, are of a sentimentally faint-hearted nature. Indeed, I must admit that we had to factor into our budget the additional cost of having my dress cleaned, wrapped in tissue paper and packaged into a beautiful box by Designer Alterations. And do I regret it? No way. My dress is so precious that I had no difficulty in reconciling my conscience with that particular expense. There is one caveat I should highlight to any bride-to-be thinking of buying either a sample or ‘preloved’ wedding dress: namely the potential cost incurred by the need for alterations. The extent – and therefore price – of such alterations will depend not only upon how great the difference is between your own measurements and the size of the dress, but also upon the particular style of the dress in question. Fleur, for example, wasn’t just too long in the skirt, the bodice was also far too deep, necessitating extensive modifications to the internal corset by London-based Designer Alterations. Now whilst I have very fond memories of trips their workshop in Battersea for my fittings and was delighted with the end result, it certainly wasn’t a cheap option and any bride-to-be needs to go into the process with her eyes wide open in terms of the likely overall cost. It’s also worth bearing in mind that attempts to cut corners at this stage by using someone who is not a specialist in wedding dress alterations may prove to be a false economy. If you don’t want to end up walking down the aisle in an ill-fitting dress, it’s vital that you employ someone who has plenty of experience in this field and knows exactly what they are doing. There is, after all, a world of difference between turning up a hem and remodelling an entire couture wedding dress. Fig.1. 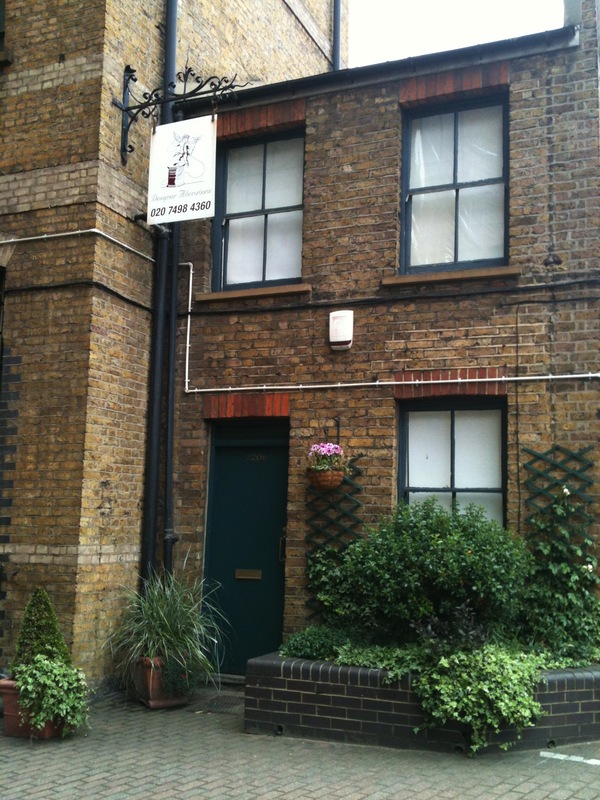 Battersea based Designer Alterations. Copyright Tony Rabin Photography. And don’t forget that both sample and pre-loved dresses will probably need to be dry cleaned. Lots of mainstream cleaning chains offer this service, and that’s probably fine for post-wedding day dress cleaning, but for cleaning prior to The Big Day, it’s worth hunting out a specialist wedding dress dry cleaner with experience of working with very delicate fabrics that are decorated with such embellishments as beads and sequins. Designer Alternations arranged for my dress to be cleaned by Perry de Montaignac, both before and after the wedding, and I was very impressed with the service I received. They even called me prior to starting work to suggest spot cleaning part of the dress so as to avoid any possibility of damaging the hand-stitched chiffon flowers. Again, it wasn’t cheap but I consider it money well spent. But what if all the wedding dresses you see, whether couture, sample, designer, or otherwise are way out of your price bracket? Well, don’t despair. There is a solution; find a dress with a price that isn’t governed by that wedding calculator I mentioned. In other words, eschew wedding dress boutiques in favour of shops that stock evening or cocktail dresses. That was exactly the strategy adopted by a friend of mine who looked a million dollars on her wedding day in a full-length champagne chiffon gown she bought from House of Fraser. ‘Bemused’ is the word I’d use to describe my reaction when I received my first ‘Save the Date’ card many years ago. I genuinely couldn’t understand why, if it really was necessary to give guests so much notice, the actual invitation couldn’t be despatched earlier, instead of inserting an extra stage in the process. But now I am, so to speak, longer in the wedding planning tooth, I understand that much of the information required by guests simply isn’t available until just a few months before The Big Day. Even so, a formal ‘Save the Date’ card isn’t really necessary. You can cut back on both stationery and postage costs by sending an email or, as we did, by writing a note in everyone’s Christmas card. So, why not dispense with ‘Save the Date’ cards and save some money instead? When I first walked into the Adam Hall at Compton Verney, where we planned to host our wedding breakfast, I was completely blown away by its gloriously elegant neo-classical dimensions and, in my mind’s eye, I imagined the entire room bathed in the soft glow of candlelight as our family and friends wined and dined. Fig.2. 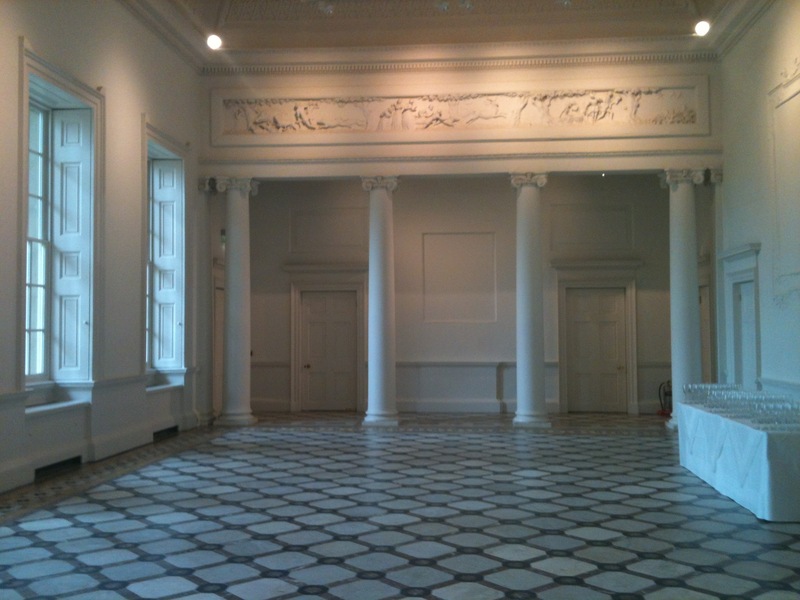 The Adam Hall at Compton Verney. Copyright Tony Rabin Photography. There was, however, a slight snag in realising my vision: the prohibition of candles anywhere at Compton Verney, stringently enforced because of the potential danger to the paintings housed by the venue, which is also a public art gallery. Fortunately, a company called Frostfire came to the rescue with their flameless Mooncandles which are made of real vanilla scented wax with tiny LED lights inserted in the centre of each one. Controlled by battery operated hand units, different effects can be created including bright light, soft glow or candle flicker. Of course, to create any kind of ambiance, I needed multiple candles and not just a couple of boxes which, I soon realised, was going to be a very expensive outlay. So, with a nothing ventured, nothing gained sort of an attitude, I contacted the nice people at Frostfire and asked them whether they would give me a discount for buying in bulk. And guess, what? The Man from Frostfire, just like the Man from Del Monte, said yes! So, in my experience, it’s worth being just a little bit cheeky and trying to negotiate some sort of deal for buying in bulk. 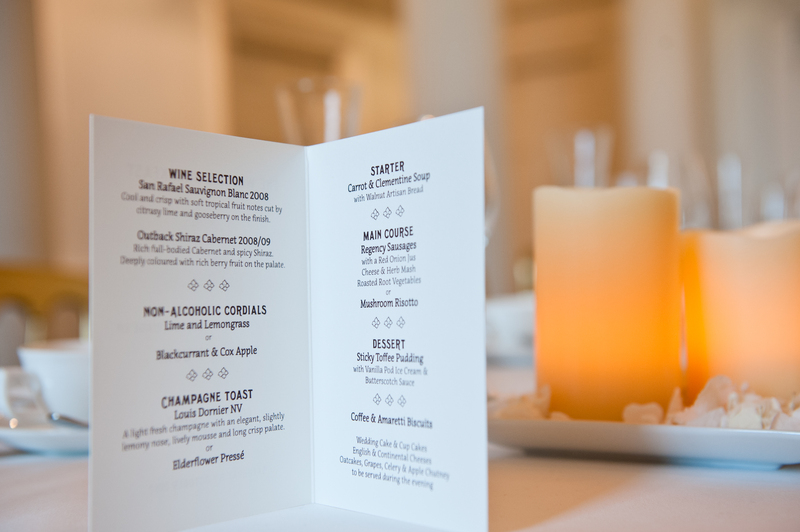 Without a shadow of doubt, the biggest single wedding-related bill we received when organising A Warwickshire Wedding was that issued by Compton Verney, our wedding breakfast venue. It’s not that the cost of hiring the Adam Hall was high, or that we served vintage champagne and caviar to our guests, far from it, it’s just that even a modest catering cost per head soon builds up to an eye-watering level when you multiply it by all the names on your guest list. One way in which we managed to slightly reduce our cost per head was to cut back on the evening buffet so that it comprised just cake, cheese and biscuits. We did so on the grounds that no one was likely to be very hungry after they’d just wolfed down a big plate of bangers and mash followed by sticky toffee pudding and ice cream. Of course, that only works if you aren’t inviting additional people to your evening reception, in which case it really would be rude not to offer a decent spread. Fig.3. Our wedding breakfast followed the traditional formula but there are lots of other catering options. Copyright Tony Rabin Photography. Some couples successfully reduce their catering costs by restricting the wedding breakfast to a core of immediate family members and very close friends, followed by a big evening bash for everyone else, but if you really want all your near and dear to share in the whole day there is perhaps an alternative to providing a costly three-course meal. Why not dispense with the traditional formula and opt for afternoon tea type of buffet instead? Buttered crumpets, finger sandwiches and an array of patisserie presented on three tier cake stands fits in perfectly with the current vogue for all things vintage and I reckon would be a lot cheaper than the more traditional catering arrangements. It might also allow for more relaxed seating arrangements, thereby avoiding the need to devise a formal table plan which, in our experience, was the most taxing aspect of planning A Warwickshire Wedding. Another way to make a small saving on catering costs is to chose a wedding cake that can double-up as the wedding breakfast dessert. That was certainly something that we considered and, given the trend towards having a chocolate or even a wedding cake made of cheese, it looks set to becoming an increasingly acceptable option in the future. 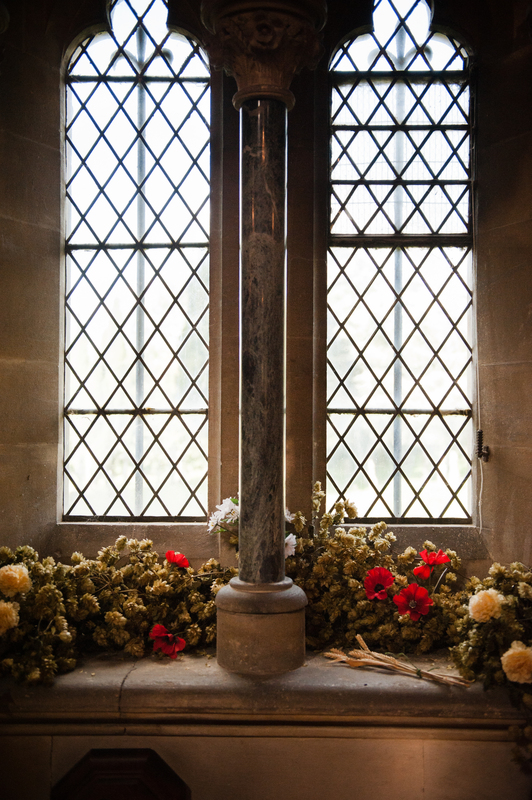 If you’ve read my post Blooming Lovely Part II, you’ll know that a floral motif was integral to A Warwickshire Wedding’s theme so you may be surprised to learn that we didn’t ask our florist to decorate the church. In part, that was because we chose to marry during Harvest Festival weekend so the church was already decorated with colourful displays of seasonal produce. But even if that hadn’t been the case, our church is so rich with carvings of flowers and foliage in stone, marble and wood, that any further embellishment would have seemed a bit like gilding the proverbial lily. Fig.4. Window at All Saints Church, Sherbourne, decorated for Harvest Festival. Copyright Tony Rabin Photography. Of course, some ecclesiastical architecture is rather more restrained and there’s no doubt that a church filled with the sight and scent of flowers is beautiful to behold. But the cost of pews ends, floral arches and large displays can soon mount up. One possible way in which to stem the cost would be to contact any other bride-to-be who is getting married on the same day, in the same church and suggest sharing the cost of church flowers. Such an approach would, of course, call for an element of artistic compromise but it might be possible to agree on a neutral palette which harmonises with more than one colour scheme. Alternatively, it might be worth finding out whether there is a flower guild with responsibility for decorating the church. If there is, you’d probably find that they’d be willing to modify their regular displays to blend in with whatever colour scheme you have chosen in return for a modest donation to their funds. Another way of reducing the florist’s bill might be to ‘multipurpose’ flowers by asking some of your guests to collect displays from the church after the service and take them to decorate the wedding breakfast venue. Granted that probably wouldn’t be practical if you’re aiming for a very formal wedding breakfast, but if you are looking to create something with a relaxed and fairly impromptu atmosphere, I think it could work a treat. 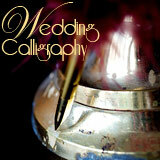 I bet your friends, like ours, are a talented lot who’d be only too glad to be part of your wedding day preparations. I think that our friend, local artist Jan Wild, was genuinely pleased when we asked her to convert the Perrier Jouet logo into our P&J monogram. If you feel too awkward to ask for help free-of-charge, but know that your friends wouldn’t accept payment, one approach might be to suggest that they donate their time and talent in lieu of a present. We did just that with Ruth, John’s niece, whose wedding gift to us was to bake and decorate the cupcakes which we served during our evening party. Fig.5. 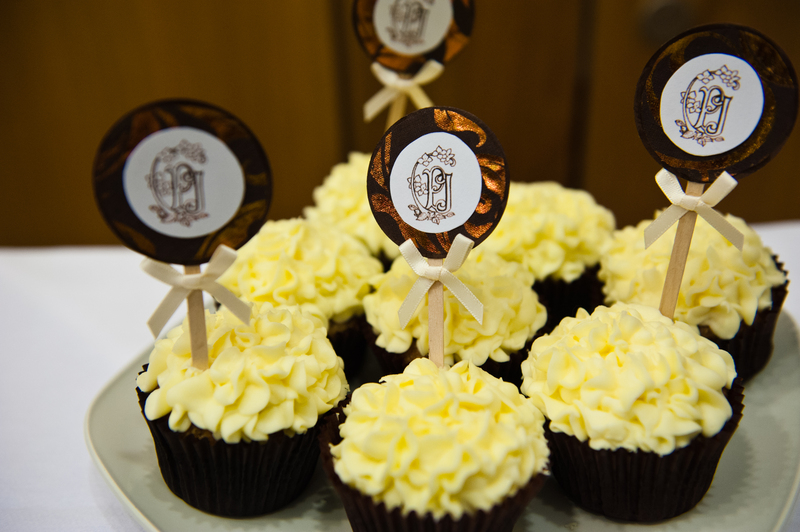 Hydrangea inspired cupcakes created by Ruth Moore. Copyright Tony Rabin Photography. 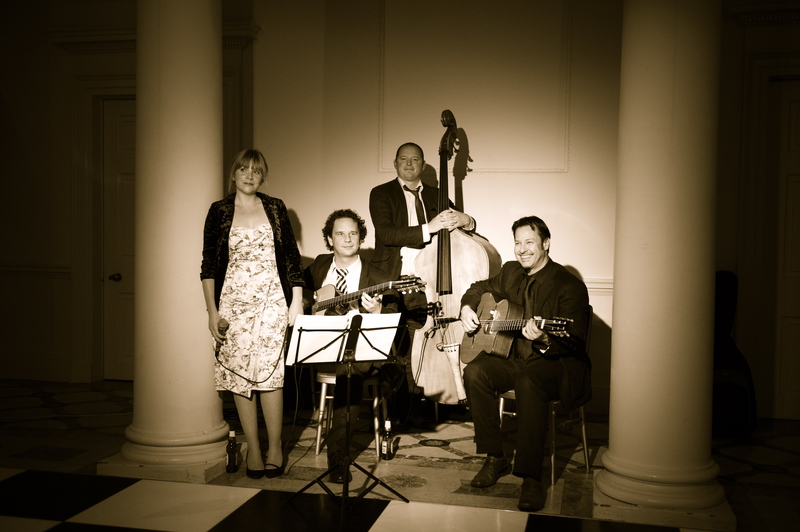 Whilst many couples assume that live music is de-rigour for the post-wedding party and duly book a band, don’t reject the possibilities offered by the wonders of modern technology. As long as you hire the necessary equipment to ensure an adequate level and quality of amplification, you can create a great party atmosphere without incurring the cost of professional musicians. Indeed, we have two wonderfully creative friends, an artist and architect, who held their humanist wedding at an atmospheric old house situated in the grounds of a London park. In the evening, each room of the house was given over to a different style of musical entertainment provided courtesy of an iPod and amplifier. Such was the ambiance that even my very reserved boyfriend actually got up and danced. Little did I know that I would have to wait the best part of seven years for a repeat performance . . . when he married me. My first encounter with Mr Moore, back in 2005, was at a pub called The Shooting Star so it seemed apt to have a firework finale at our wedding. 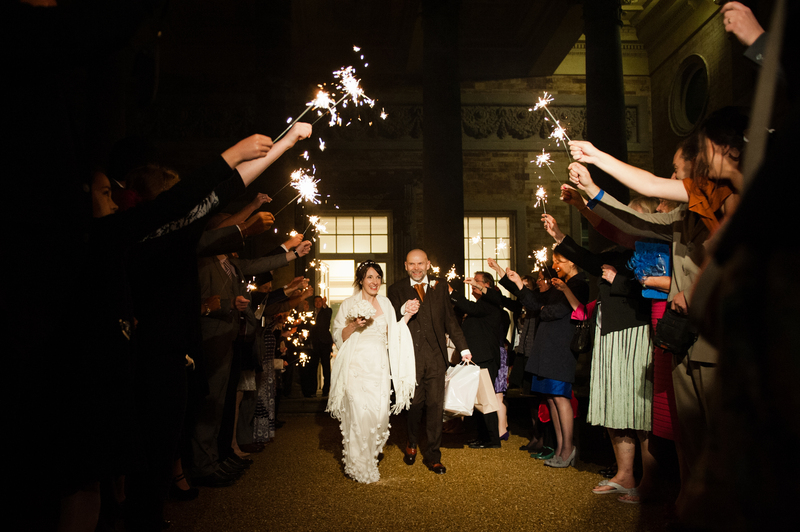 But if your wedding budget can’t quite stretch to a full pyrotechnic display, don’t despair! Sparklers can provide a much more cost effective way of creating some mini-shooting stars and enable everyone, including children, to actively participate. Sparklers also have the added benefit of not being governed by regulations which forbid commercial firework displays taking place after 11pm, so there’s no need to panic if your celebrations are running a little behind schedule. When the costs of A Warwickshire Wedding spiralled in an alarming upwards trajectory, we joked that perhaps we should start selling tickets rather than sending out invitations. Of course, in reality, we would never have dreamed of so doing but these days wedding etiquette isn’t breached by asking guests to contribute to honeymoon costs. When, for example, one couple we knew got married, a group of us clubbed together and paid for a night in a swanky hotel rather than buying something off the wedding present list. Similarly, we have other friends who went on safari for their honeymoon and asked to be given activity vouchers as gifts. Various companies offer such a service, including Kuoni, Honeymiles and Top Drawer Holidays. It may all seem a bit impersonal but, given the relentless pace of modern day life, many people might actually prefer the ease of buying a voucher via the internet rather than having to make a trip to their local shopping centre, negotiate a space in a multi-storey carpark, and then wait in a queue to served so that they can buy something off a more traditional style wedding gift list. There’s a lot to be said for keeping things simple and taking the road of least resistance. Once upon a time, newly marrieds agonised over having to chose a very limited number of photographs for their wedding album from proofs given to them by their photographer. Fortunately, the digital age has taken much of the pain out of that process as photographers are now able to provide a disk containing all the photographs, thereby enabling couples to make their own wedding albums via online tools, such as Bookify. Not only is this much cheaper than the cost involved in paying for a big traditional style album, but it also provides an opportunity to create tailor-made books as gifts. I derived literally hours of pleasure editing photographs and designing the layout of the pages in different ways to make two separate books: one for MoH and one for my Dad. And I think that there is something extra special about a gift that someone has spent time, as well as money, in creating. So this then is Mrs Moore’s list of money saving tips. Huge savings may not, I grant you, be made by following them, but as that modern day commercial adage teaches us, every little really does count and a few pounds saved here and there might go towards the cost of something you’ve really set your heart on. Like that full price couture dress that you can’t find in a sample sale . . .